Versant Sales Center - Marketing Specifics, Inc. 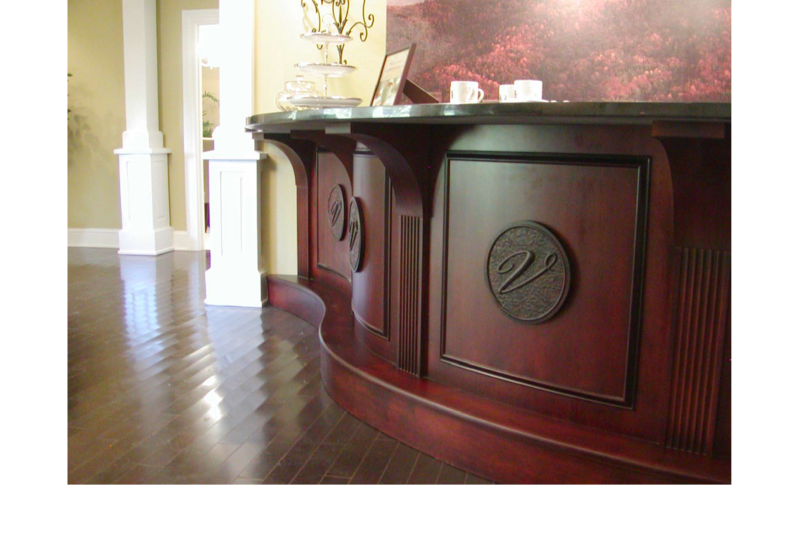 The objective for the Versant Sales Center located in beautiful Asheville, NC was to create a sales environment that captured the essence of the community before any product was built. 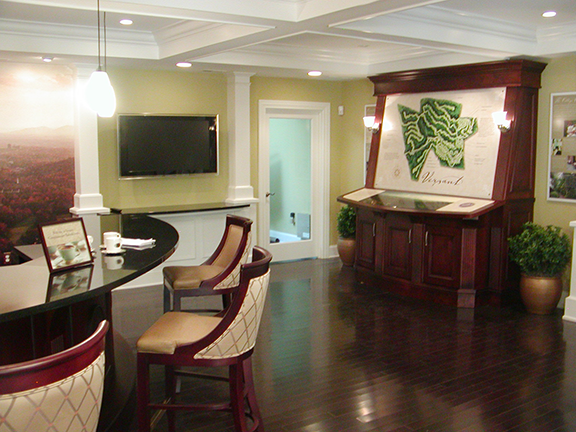 The space allows visitors a chance to understand the lifestyle of this European Village inspired, high-end community nestled in the outskirts of Asheville. 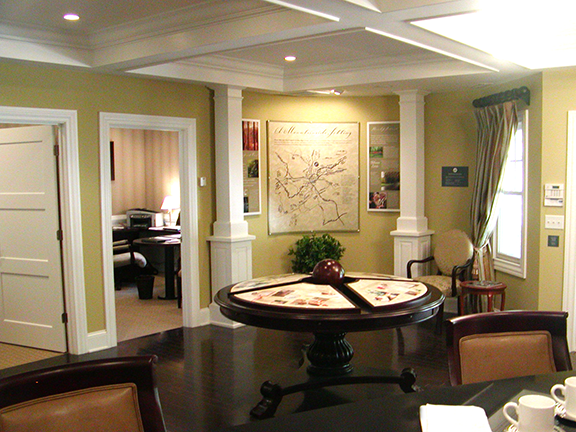 Classic, timeless interior design, included a lot of rich wood and traditional furnishings that all help support the lifestyle of the buyer. A custom refreshment bar, with a scenic mural, welcomes the buyer into the space. 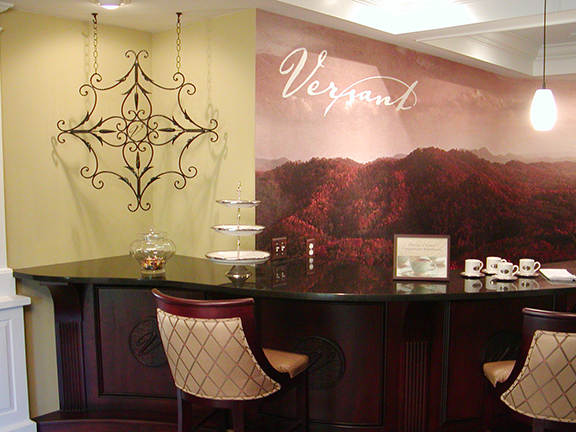 The Versant community is like no other in the North Carolina mountains.